Filed under Decorating with Flowers in your Home. The season of spring is alive with a rainbow of flowers and fragrance. 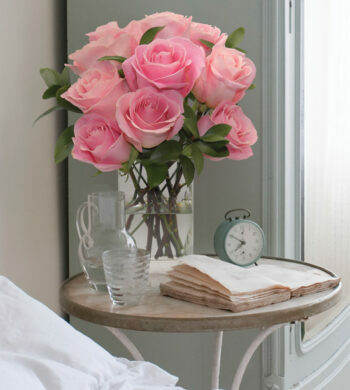 Today let’s discovers the personality of a home and its connection with flowers. It’s simple, yet spontaneous and believe it or not, an integral part of stylish living. Historically, springtime bouquets created color and visual interest in the home when in past eras there were very little offerings in terms of furniture, textiles and home decor. 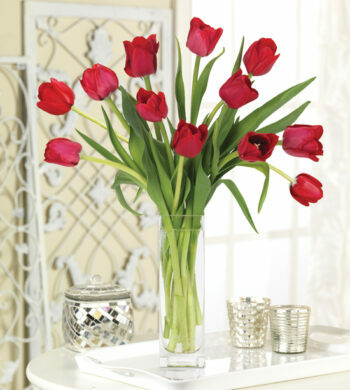 Flowers were the easiest way to enliven a room, welcome visitors and to even create feelings of celebration or romance. Homes develop a personality and style. What makes the home so special is that our individual uniqueness and imagination are constantly at work. 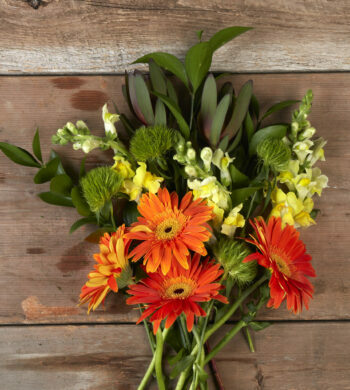 Flowers play a special role in making the home more stylish and inspiring. They are a particularly enduring natural tradition of fashion used in the home, as they are an outward expression of its inhabitants. They adapt effortlessly as our choices in décor, patterns and motifs constantly evolve. It’s easy to achieve a blossoming home especially when the spring season of renewal is upon us. 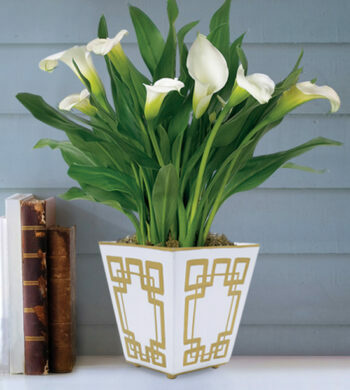 Lilies are an ornate and elaborate choice as their blooming cycle is long lasting and their colors vibrant. 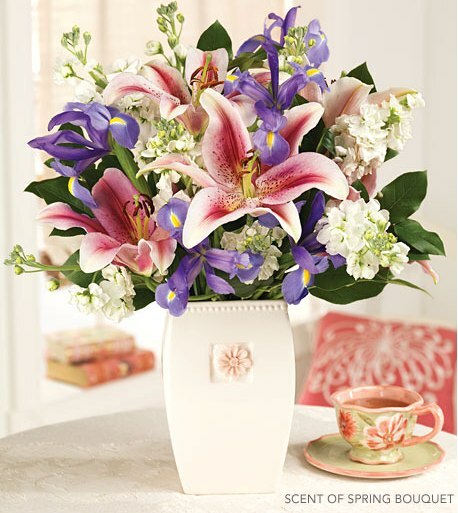 A single bouquet of lilies can be spread about like natural knickknacks with a grand bouquet as the crowning touch. Designing with these flowers is a cinch and the results, spectacular. Have fun and enjoy spring’s beautiful bounty. 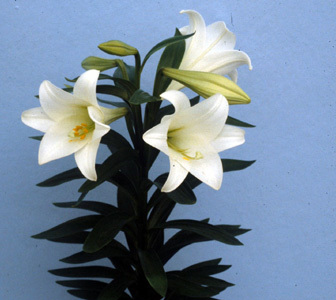 Flower fact: Did you know the Easter Lily, long identified with spring and the Easter season, is also symbolic of love and marriage? Roman mythology relates the story to Juno, the queen of the gods. While nursing her son, Hercules, excess milk fell from the sky. Part of it remained in the heavens (thus the creation of the Milky Way) and the rest fell to earth creating lilies. Share Kindness in Your Day by…calling an old friend or distant family member to reminisce about an old memory or good time occasion.